Thank you sir. Its very useful for my project. hi have try a master with several slaves?? Sir can we configure bluetooth module using 8051 kit through RS232. I mean just by removing microcontroller and connect bluetooth TX & RX pin in place of P3.1 & P3.2. Hello Sir !! I am trying to pair a HC-05 with HC-06 Bluetooth module . HC-05 is the master and HC-06 is the slave . I am using Arduino UNO to connect HC-05 and Arduino Mega ADK to connect HC-06 . The 2 Bluetooth modules is getting paired but the data that is being sent from HC-05 the master module , is not being received exactly by the slave module . Like if i am sending 1 , the slave is receiving 255 255 or 254 255 . Any other data except 1 , the slave is receiving similar values 255 254 or 248 255 . Whatever data is being received by the slave module , i am printing it on the serial monitor . I have tried both normal mode and the SoftwareSerial mode. The Modules are getting paired at all times as you have mentioned even after removing the power plug and reinserting it . But the valid data is not being received . Is networking possible in Bluetooth..? Awaitig your reply..? Networking with BT is called PICONET where they say one Master can communicate with max 7 slaves.But practically when I tested , at a time only one slave can pair with the master.When power is removed for the 1st slave ,automatically 2nd slave gets connected to master. 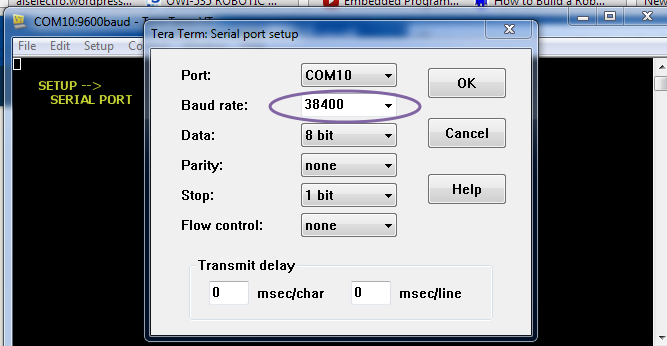 Sir, can we configure bluetooth device using 8051 kit through RS232.? I mean by removing microcontroller and connect TX and RX pin of bluetooth in place of P3.0 and P3.1. 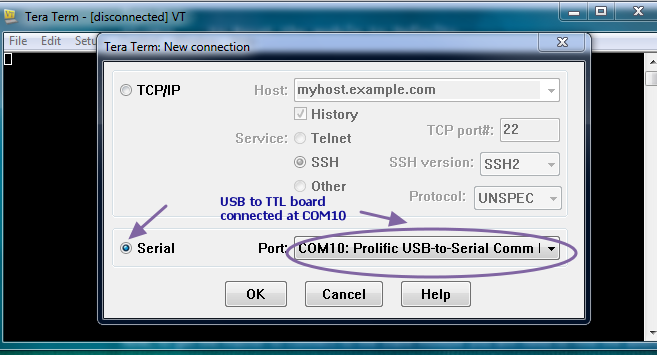 Not possible.In case of Arduino we make use of the USB-UART IC (seen near to the USB socket) & bypass the bootloader by uploading empty sketch.In case of 8051 it is not possible.Buy a USB-TTL board which is less than Rs.200 to configure BT. Hello Sir, I didn’t find in the web clearly if an HC-05 Master Bluetooth can pair and communicate with HC-06 Slaves, supposing they are configured correctly as you mentioned above. I mean, an HC-05 Master can only pair and communicate with HC-05 Slaves due to they have the same firmware and the HC-06 Slaves have Linvor firmware? HC05 can be paired with HC06 module.Pairing must be initiated from HC05. As HC06 is a SLAVE ONLY module ,it cannot initiate a pair by itself. 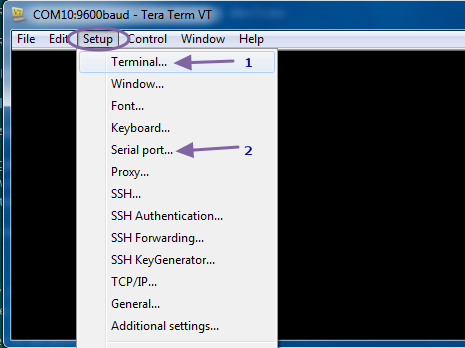 HC06 enters AT mode automatically when not paired to any other device.There is no LED indication for AT mode, as you see in HC05.Just power up HC06 & enter the AT commands.HC06 doesn’t wait for carriage return.You’ve to enter AT commands in notepad & copy paste on to Teraterm terminal. To know the address of slave you can issue AT+NIT & then AT+INQ to know the surrounding device’s address. Now you can pair with that address using AT+LINK. Bluetooth SPP protocol by AT+INIT . Thanks for your soon reply, I also want to know if it is possible an HC-05 Master in one arduino UNO can pair and communicate with two HC-06 (or HC-05) Slaves, each one in its Arduino UNO, and in other moment the HC-05 Master be configured as a Slave Bluetooth to be pair and communicate with an Android’s Master Bluetooth, and then the HC-05 Slave Bluetooth be again a HC-05 Master Bluetooth to communicate again with the other HC-06 Slaves? automatically the second slave got paired with master. From Android phone HC05 can be easily paired.But further relaying to slaves is not possible. Hello again, can you tell me how can I read and parse into the arduino IDE the data list returned of slaves discovered when the Master send the AT+INQ command. I want to know where and how are store the data returned of the slaves encountered. Hello Saravanan, Greetings from Toronto/Canada! Great video, I’m wondering if you can help me with something. I have an HC-05 and an HC-06. Instead of trying to connect both together, I’m trying to connect the HC-05 to my Bluetooth PlayStation 3 controller. I think the PS3 Controller is a slave only, that’s why I need to use the HC-05 in master mode with the Arduino. 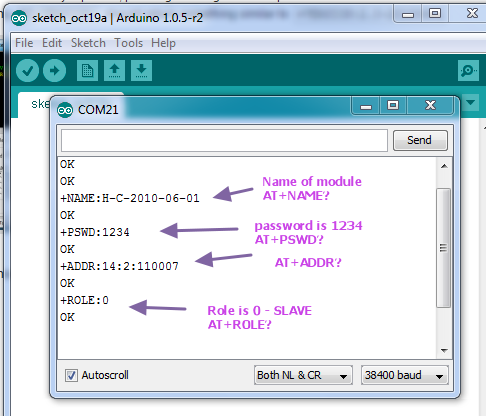 The arduino has a Library called “USB_Host_Shield_Library”. Using this library + Arduino Uno + USB Shield for Arduino + A USB Bluetooth Dongle, I can connect my PS3 controller with the arduino and read all the input from the PS3 controller. My goal is to do the exact same as above but without the USB Bluetooth Dongle or the USB Shield for the Arduino. So I’m trying to connect my PS3 Controller Directly to the Arduino Using the HC-05 Module. But I also would like to be able to use the Library “USB_Host_Shield_Library” with that type of connection since it comes with a sketch called “PS3BT” that is already configured to read all inputs of a PS3 Controller so we can use the Arduino to control things with the PS3 controller. But this sketch only works when connecting a USB Dongle to a USB Shield NOT when using a HC-05, so what changes in the code of “PS3BT” sketch that needs to be made to let it read the PS3 controller input from HC-05 instead of USB Dongle? If you can point me in the right direction about this or make a guide/tutorial I would really appreciate it. It’s hard to implement things without the USB Host shield.The library developed by circuitsathome takes care of handling data from your PS3.USB Host is based on SPI interface.HC05 is a simple serial device. link http://www.circuitsathome.com/usb-host-shield-hardware-manual to know the hard work & time taken to develop this hardware & library. HC06 is a SLAVE only module & by itself can’t initiate a Pair.As shown in video use a Master HC05 & pair it with HC06 Slave. Hi, thank you for your handy tips. I can pair my devices and send and receive data. I am using one HC-05 and one HC-06. My HC-05 seems to have 2 command types. For example I power the device and tie the key and the device flash every 2 second baud = 38400, the other is when i power up then just pulse the key once, now i am communicating at a baud of 9600 and can send commands, flashing twice a second ish, i’ll call this command type 2. So when I enter the command type 1, reset the device, set to master and…… until i reach the AT+INIT command, this command puts my device into command type 2, i quickly change the baud to match and then try obtain and entering the MAC of the Slave into the Master to store it for future pairing. This is where my problems start. I only have 2 seconds to get all the commands in before the pairing automatically commences. I like the fact that the device automatically pairs but this leaves me with no option is store the MAC address of the slave so the device only pairs with this slave and no others. Can you help me store the MAC address? Is it possible to send command while paired with a device? Do you know why there are two command modes at different baud rates? Finally can you link me to an English datasheet? The kindest regards to you. to pair with the address that is paired using AT+BIND . After CMODE is enabled , use AT+INIT. Now inquire for surrounding modules using AT+INQ .It is normal that the LED starts blinking fast indicating that it is looking for a pair.I think you’ve misunderstood this state as the module has come out of AT mode. The module is still in AT mode but searching for surrounding modules.If the slave is powered up , its MAC address will be displayed under AT+INQ. Now you can pair the slave using AT+LINK command.If the INQ is not returning any result you can directly LINK to the slave address , provided the address is known. There is no way to store the MAC address. You can AT+LINK to max. of 7 slaves . But practically , only one slave will be paired to Master at one instant. If the power to slave is OFF then the second slave will automatically pair with the Master.. The default Baud rate is 9600 . Entering AT mode at 38400 makes INQ faster and linking is made soon. 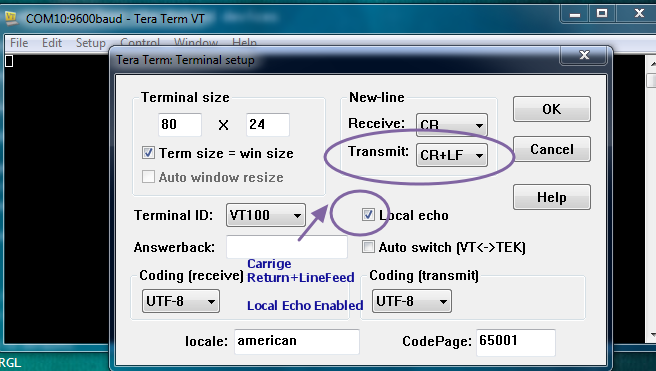 You can very well use the Terminal of Arduino instead of TeraTerm. But remember , while configuring the Bluetooth module the connection is Tx(bluetooth) to Tx (Arduino) & Rx to Rx. sir, why during configuration we connect Tx to Tx and Rx to Rx and after that it is cross connection ? While configuring BT modules we us this straight connection, provided you upload an empty code ( bare minimum from examples) or just connect RST with GND. This will bypass the Arduino bootloader & only the serial IC is used by the end device which is BT in our case. During normal data transfer the connection must be reverse Rx to Tx & vice versa. Bluetooth is for one to one communication. Pairing is possible between 2 devices , but broadcast is not possible. 1)May i know whether name of the Bluetooth module can be changed while executing in Arduino itself by some function call. 2)Can slave modules name can be read by the master module without pairing. Great, you helped me a lot on a massive project 😀 Thank you very much man! Hello Sir, thanks for the great explanation. I would like to ask, can I use arduino instead USB TTL in this tutorial? Is it same way to do it as you show in this tutorial? 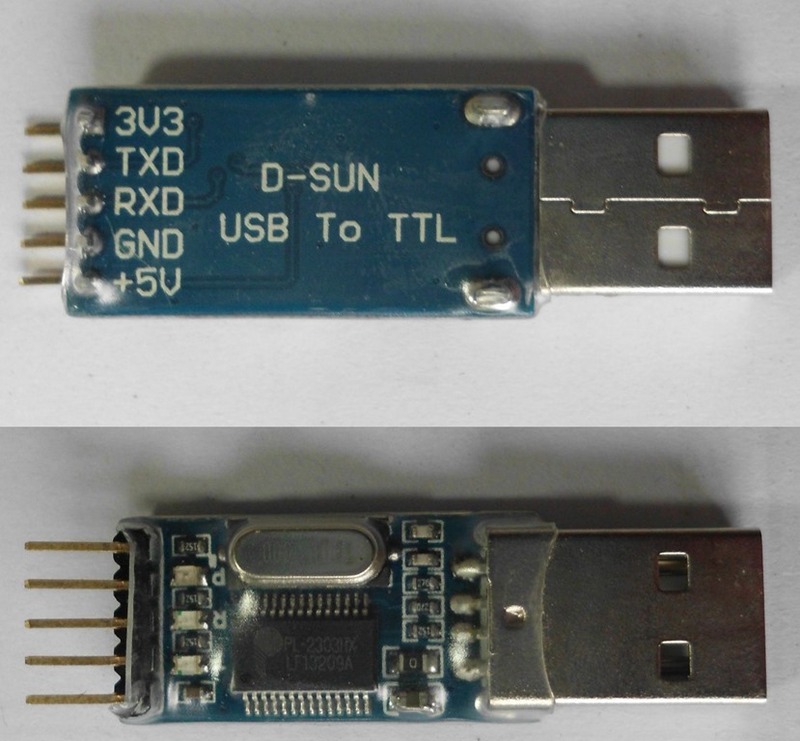 You can very well use the Arduino as USB-TTL , either by uploading empty code or by connecting RST to GND.Now the bootloader of Arduino will be bypassed.But remember to connect Rx-Rx & Tx-Tx in this configure mode.Later in normal operation you’ve to connect the regular way Rx-Tx. 1.Hold the button on the Bluetooth module while giving AT commands. 3.EN pin on some HC05 modules is the KEY pin. 4.Some modules have 9600 as their Baud rate. So both 38400 and 9600 should be tried. Hi. I have a HC-05 module which i am trying to use with my arduino uno. My BT module has level 3.3v printed beside RX TX pins. Do I need a level shifter for converting 5v to 3.3v for rx tx pins? Its always advisable to use a level shifter.You can also use a 1k series resistor to Rx of BT & a 2k2 to GND.Tx of BT can be directly connected to Rx of Arduino. Hi. I have a 2 HC-05 module which i am trying to Configure as master and slave but problem is that they have address like this 21:13:1B88 and 21:13:1777. master not accept this address it give me error how i connect this two module ? I’ve got two HC-05 modules connected as master and slave. The codes for each have switch/case statements where a signal sent by one module, will switch the mode of the other. For some reason when i disable power and turn it back on, the bluetooth link drops. Any thoughts as to why? Thanks to your very, very helpful instructions I could pair two HC-05 modules. Everything works as described in your instruction except that I get no data transferred. That means when I control the signal with the storage oscilloscope I have data on the master side and the data received at the slave are just “some” bits. I suppose that are just some start- or stop-bits. I used SPP and “AT+INIT” brought back “OK”. May there any other fault that I have done? Does it work if we use both 9600 baud rate? Sir, is that possible to follow this procedure(HC-05 Pairing) for communication Arduino Mega and Arduino Uno using 2 pieces of HC-06? How can I send my send sensor data to pc via Bluetooth.I have googled but I didn’t get any specific answer. I am running into an issue with my HC-05. I intend to communicate with it from my smartphone and I’d like to be able to enter command mode from the phone over bluetooth. Is it possible to enter at mode from data mode? Previously i used a bluesmirf to do this. I would be in data mode on my phone and send $$$ to enter command mode and — to exit command mode. Is this also possible on HC-05? The reason I need this is I’d like to activate/deactivate one of the pins from my phone to turn a switch on/off. I would appreciate any help.